The Story: The life and times of the legendary filmmaker who, through his annual ski films and national tours which began in the early 1950’s, was a driving force in the development and promotion of the ski industry in America and throughout the world. 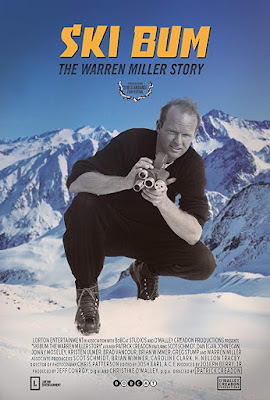 Sadly, I have never watched one of Warren Miller's movies but after watching this documentary, I can see why he had a run of success that spanned decades. Of course, there is more to that story than just success and director Patrick Creadon digs into as much of it as he can using archival footage and interviews with just about everyone who was ever associated with the man. Miller's life wasn't perfect by any means, there was struggle, there were challenges. there were family issues, marital issues, and money issues, but through it all Creadon shows that the man never changed. From early times in his life sleeping in a trailer outside lodges so he could ski for free to his final days living on Orcas Island the spirit and energy that made him so special was there for all of it. "There's no limit to the amount of good a person can do, if they don't care who gets the credit." The quote above is etched on a plaque at a skate park Miller had built on Orcas Island and, while it didn't originate with him, it represents a lot of who he was as a man. Miller never sought out fame and glory, he simply did everything he could to have access to the things he loved and to share those passions with the world. Ski Bum: The Warren Miller Story shines a light on the man who was best known for his work behind the camera and for how he changed the ski industry forever. 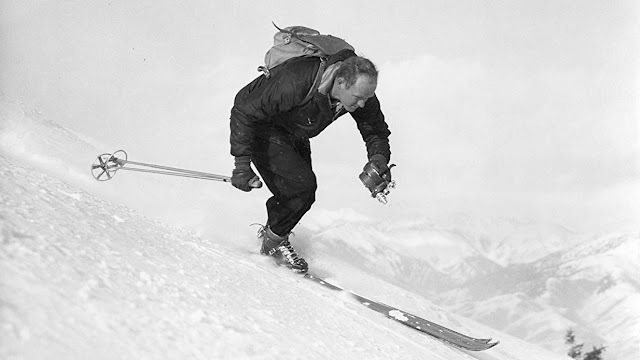 Ski Bum: The Warren Miller Story is an official selection of 2019 Slamdance Film Festival.